There are, of course, many excellent reasons to buy local. With the environment receiving a perpetual battering on every front imaginable, purchasing things that haven't spent their last few weeks travelling more extensively than the average gap year student can only be a sensible decision. Supporting the local economy and independent businesses are not only ethical and moral considerations, but you can often find more interesting and unique items that haven't been overtly mass-produced. Yet buying local can be hard. With chain stores providing a uniformed shopping experience and supported by large marketing budgets, individual suppliers can often find it difficult to stand out, even if their products rival the "big guns" in terms of quality and/or service. So in order to support local patriotism, the community and all things Liverpool, here are some great shopping alternatives that if you climbed to the top of the Cathedral tower, you could probably see. Whether people think coffee should be treated with near religious reverence, or if you simply use it as a means to wake up from your cosy slumber, everyone agrees that it tastes best when it's fresh and locally roasted. Joe Black Coffee has been roasting coffee in Merseyside using traditional methods for more than 50 years. Supplying museums, high-end restaurants and coffee shops, the chances are if you live in the North West you may have encountered it already. Central Perk, The Blue Coat and Bold Street Coffee all use Joe Black coffee, but if you want to enjoy it at home and avoid the miserable January weather, Joe Black's website allows you to buy coffee online and have high-end coffee delivered direct to your door. On the other side of the hot drink battle, there's tea. The Cheshire based tea company Quinteassential has some truly magical blends which turns tea into an art form. They even provide personalised blends that aim to capture your spirit and suit your own individual tastes. If you fancy an evening out you could book yourself in for a meal at the London Carriage Works. It's a good looking restaurant, with glass partitions like huge shards of sugar work, but it's charm isn't just on the surface. With sea bass from Liverpool bay, vegetables from the Wirral, pork from North Wales and coffee supplied by Joe Black, its aim is to provide "local, fresh and seasonal produce". It does this in a way that makes you bury your head in the plate and not emerge until everything has been messily devoured. For more general shopping needs, Lark Lane (which has to be one of the most romantically named streets in the world) holds a farmers market the fourth Saturday of every month. All traders come from within a 100-mile radius ensuring carbon emissions are kept to a minimum. Considering we import fish from China and lamb from New Zealand, we can all do our bit to support local fisherman and farmers to reduce the often extensive carbon footprint from imported goods. Once you've stocked up on veg and decide it's time to balance your diet with a massive cake, Cuthberts Bakehouse bakes jaw-achingly delicious treats and provides afternoon tea (plus coffee from Joe Black) in case you are ever feeling a bit Great British Bake Off. Winner of the Gold Sustainable Green Trader Award in 2014, Vonny Bee is the product of Yvonne Matthews Liverpool-based and chemical free bee keeping. Not only does she produce lovely and near-mystically healthy honey, but Vonny Bee also makes honey based cosmetics that just may well be the key to eternal youth. Made Here has absolutely everything from t-shirts to teapots, all made by artists and artisans in Liverpool. 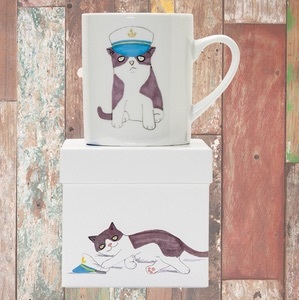 Further artistic nic-nacs can be found in Nook and Cranny on Bold Street, with beautifully decorated mugs, prints and cards, including the detailed and enchanting work of Liverpool-based up and coming illustrator Rheannon Ormond. Filling your home with illustrated and decorated goods helps supports many local artists and can provide a touch of warmth for the soul. If you want to deck yourself out in a similarly opulent fashion, Bob Porter, a world-class master silver-smith, can be found in the Bluecoat with a beautiful range of jewellery, engraving services and the chance to commission personal pieces. In a less material realm, News from Nowhere, "Liverpool's Radical and Community Bookshop" provides ideas and home-grown left wing politics. They of course sell books and have a wide selection of political literature, but they also host and have links to various forms of activism, such as LGBT rights and Liverpool Friend's of the Earth. It can be an excellent way to get involved with the community and become actively involved in important causes, all while browsing for your new favourite book. Liverpool is vibrantly creative, musical (we won't mention you know who) and artistic city that offers many ways to support local traders. Once you start digging around you will find more and more great ideas that will help support the local community and doesn't give you that supermarket feeling of shame. Happy shopping!